Every tech wizard recommends that you should use unique strong passwords, long, complex password for each of your online accounts. But, remembering all long password is so difficult. Luckily, there is some best free password manager like LastPass and open source password manager KeePass do an excellent job for you. If you are using the same password for you social media accounts, emails, blogs, and other sites; this practice will cost you and lost your account because of hackers could take control of your email, social media, and financial accounts. There are some popular premium password managers like 1Password, Keeper Password, Passpack, and Zoho Vault on the market. However, you should know about best free password manager and also open source password managers software. 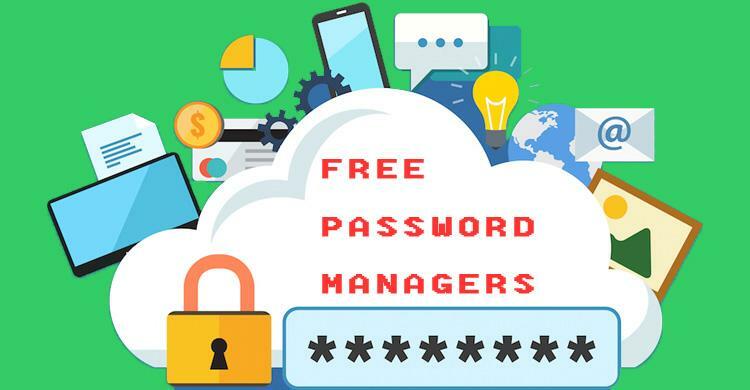 In this post compiled best free password manager software and open source password managers you can use right now, in no particular order. 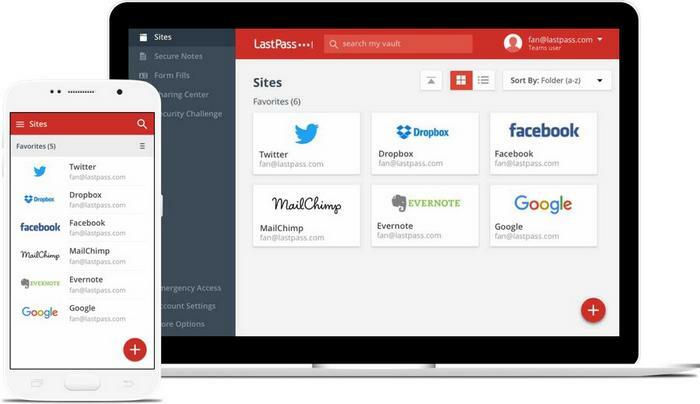 LastPass is the most popular free password manager for Mac, Linux, and Windows 10. It also supports Chrome OS, Android, iOS, Linux, Windows Phone, and watchOS. LastPass password vault includes great features like two-factor authentication, form filling, automatic password capture and more. Dashlane keeps your passwords safe on your mobile device, desktop PC, and laptops. This is similar to LastPass password manager app. It’s also available for Windows, macOS, iOS, Android operating systems. DashLane’s free password vault can store unlimited passwords for you, but it’s only limited to one device. Sticky Password is another free password manager tool so you can secure digital vault for your phones and tablets as well as other desktop and mobile devices. This password manager app lets users choose between syncing data in the cloud or over Wi-Fi networks. KeePass Password Safe is a free and open-source password manager for Windows, Mac OS, and Linux operating systems. This free password keeper stores usernames, passwords, and other fields, including free-form notes and file attachments, in an encrypted file. Clipperz is a free open source password manager software application. It also works on iOS and Android. Padlock is a minimalist open source password manager that puts usability and security first. This password keeper runs on Linux, Windows, Mac, iOS, Android and Google Chrome. Passbolt is a free open source password manager for teams. Password Safe is another open source password manager for Windows. It allows you to safely and easily create a secured and encrypted username and password list. Roboform is another oldest and the best password manager app for Mac and other major platforms Windows, iOS, Android. Another password manager tool is TrueKey password safe. This is also available for Windows, macOS, iOS, and Android. You can install password manager extensions on web browsers including Chrome, Firefox, and Edge. LogMeOnce free online password manager tool has best online password manager with two-factor authentication and adds a second layer protection to your device. Norton Identify Safe is a basic password manager software which helps you with a password generator tool. Like other big players, it also provides an easy to use password management with synchronization between desktop, smartphone, and web browser. Enpass Password Manager is another top tool and supports popular platforms including Windows, macOS, Linux, iOS, Android, Chrome OS, etc.